When the Manhattan came along, it completely changed the drinking landscape. Cocktail historian Philip Greene traces the evolution of this classic from the stories of its origin to its continuing influence. 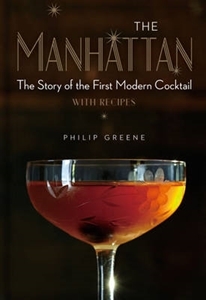 Richly illustrated with vintage artwork and deluxe photos, this definitive story of the iconic cocktail offers 65 recipes from the classic versions to the Manhattan's many descendants - including the almighty Martini itself.